While there's plenty happening at Copley and the Pru tonight for Fashion's Night Out, I plan to take advantage of this perfect weather to make my way down Newbury Street. Boston's main shopping drag will be closed off to cars for traffic-free strolling and shopping from 6 to 10 pm tonight. But there's no doubt that a walk from Alrington to Mass. Ave. will leave me cursing my sky-high wedges, in search of some plush seating and sweet treats to numb the pain. Thankfully, Kimpton Hotels is constructing an outdoor lounge at the midway point of Exeter Street. A brilliant idea, if you ask me! I stayed at this Kimpton Hotel in New York during Fashion Week last year, and these guys have got serious style. Tonight's lounge will feature oversize white leather wing chairs; wide, tufted ottomans; dramatic, high-back citrus banquets; and natural wood accent tables. Forum is providing the food and drinks while local bands take the stage. And, it just so happens, that just up the street is Sweet, a cupcakery that's hard enough to resist on any normal day. 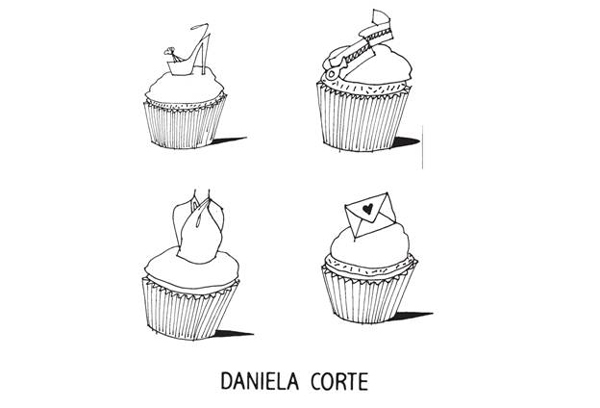 Tonight, though, the shop has collaborated with three local designers - Daniela Corte, Michael De Paulo and mike&ton - on adorable, fashion-inspired cupcake designs. The limited-edition cupcakes are $4 each and come in Red Carpet Red Velvet, Couture Chocolate and Vogue Vanilla. 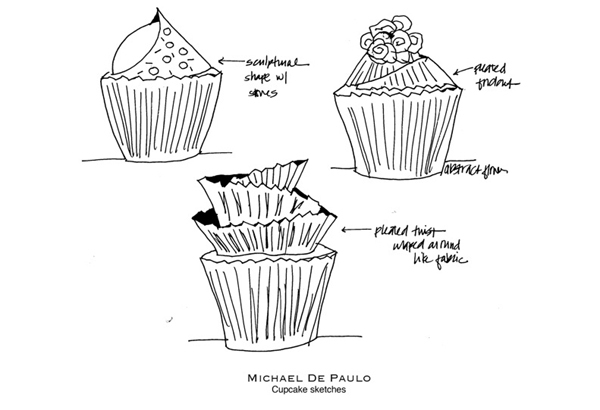 Plus, Sweet is giving out complimentary frosting shots from 6 to 8:30 for a sugar-fueled shopping recharge. See the sketches from each designer after the jump. If you're in Boston tonight, let me know where you'll be. And, if not, have a wonderful Fashion's Night Out! wow so amazing cupcakes!I just found you blog and I love it!check my blog if you want and join the GIVEAWAY! those cupcakes are so neat! Yummers! How gorgeous? I hope you had fun at FNO, so gutted that I'm going to miss this years in Athens, as I'll be in London. 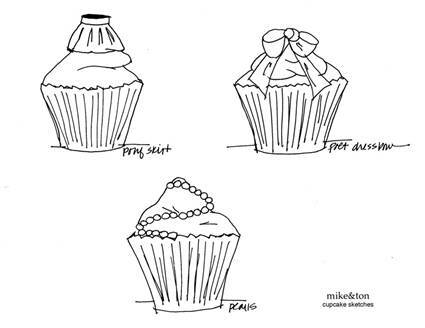 Those cupcakes are gorgeous! They look absolutely delicious.